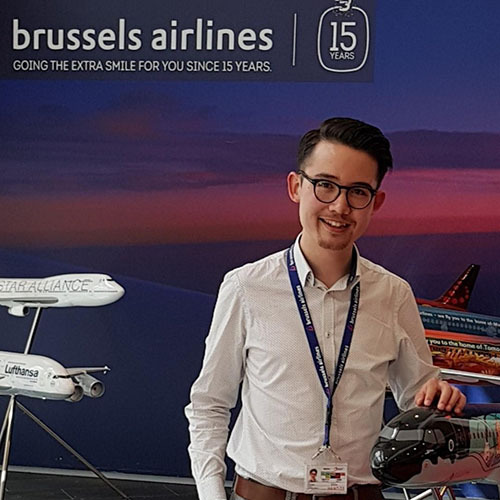 Aviation Management student Jeremiah Franssen has recently returned from a year in industry with Brussels Airlines. He was keen to share his experience of a fantastic 15 months placement with us. 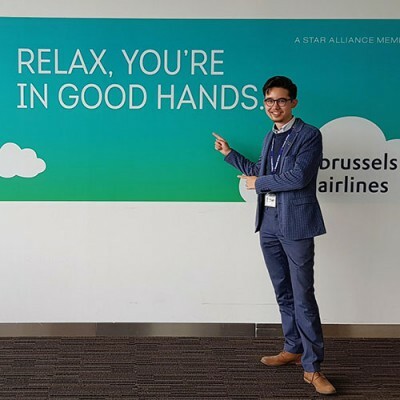 My placement year at Brussels Airlines is a fabulous story of memorable and exciting experiences. If I had to choose just one of them, it would be my participation and contribution to a company trip to Israel, where I had the privilege to travel to Jerusalem and Tel Aviv. 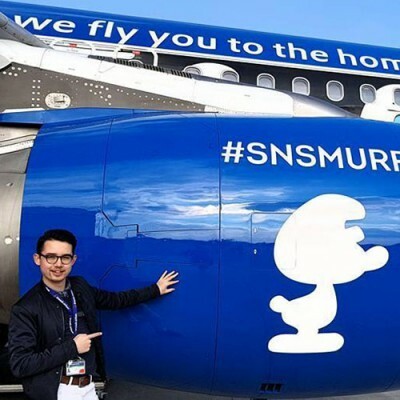 I was travelling with perhaps one of the most enthusiastic airline Business Development Managers with the zaniest excitement and knowledge about the Middle East and air travel. During the trip, I also gained numerous industry insights specific to the region. My overall mission while at Brussels Airlines was to support the brand manager in the successful running of the brand in all served markets and across all touchpoints. I also proudly embodied the corporate identity and brand values of the company to create brand awareness through disruptive technologies. 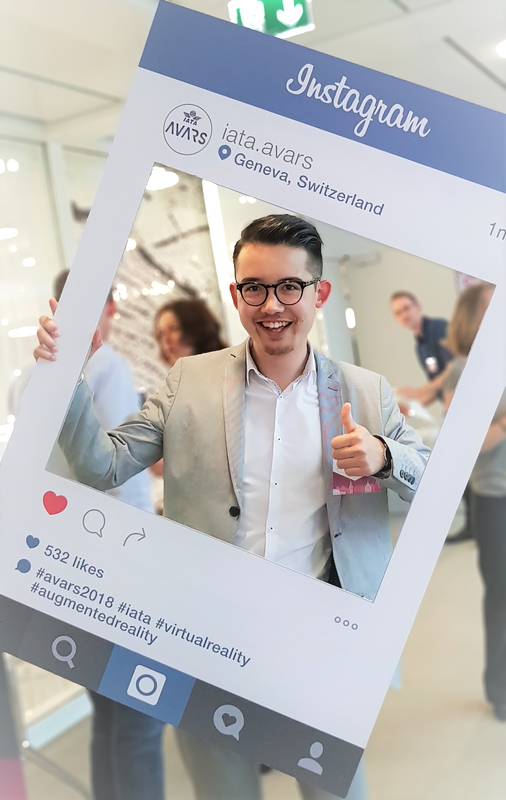 My natural passion for aviation and new disruptive technologies has seen me work across highly sensitive and exciting projects, which have been pivotal in what has been a great year of professional and personal development. During my year in Industry, I gained both specialised and industry knowledge. I also developed and built numerous solid soft and hard skills, and in particular project and event management. Led the definition and planning of a 3D animation movie for an intercontinental product launch. Lived the company values, as a brand ambassador, in 10 countries. In short, my experience was like that breeze of fresh air that makes wings lift – exciting and energising. There is nothing difficult about reaching new heights, but it takes determination to spread your wings – just as making your journey is as important as your end destination. It is of course a tremendous, memorable and unique life lesson which anyone needs to embrace once. 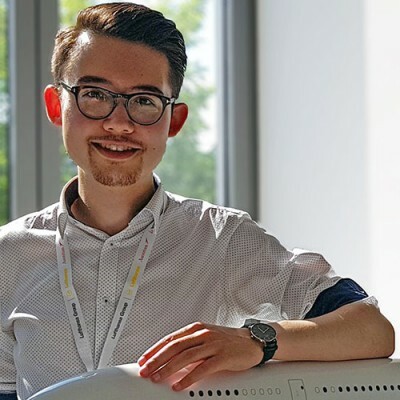 I had the privilege to share this journey with Belgium’s national carrier Brussels Airlines, award-winning Coventry University and its unique Global Leaders Programme. If you would like to learn more about my experience or simply start a conversation, please feel free to reach out. Jeremiah is one of many thousands of students who have received funding from the Centre for Global Engagement to support his international placement. The Centre for Global Engagement (CGE) supports Coventry University students who travel abroad for academic purposes, including work placements, conferences, teaching overseas, study trips and volunteering​. This academic year, students can apply for funding of £250 for any individual trip that takes place over 5 days or more.